Novotema were proud winners at the annual IDEX Global Leadership Conference last month, scooping the coveted ‘IDEX Difference – Embracing 80/20’ award in recognition of consistently outstanding service to key customers. Novotema and three other exceptional IDEX companies were shortlisted for this prestigious award, and Novotema’s win illustrates the fantastic strides made in on-time delivery and customer service over recent years. But the ‘IDEX Difference – Embracing 80/20’ win wasn’t Novotema’s only success at the ceremony. IDEX Sealing Solutions, made up of Novotema together with Precision Polymer Engineering and FTL Technology in the United Kingdom, picked up the ‘IDEX Core Values' award. The judges were impressed with Novotema’s application of IDEX’s core values of ‘Trust, Team and Excellence’, building a talented team, who are better able to exceed the expectations of their customers. This year’s IDEX Global Leadership Conference was held in Palm Springs, CA, and was attended by 150 business leaders representing 50 IDEX companies from across the world. 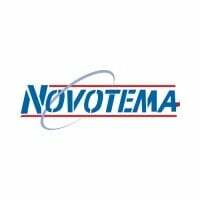 To experience Novotema’s award-winning approach to sealing innovation, get in touch with one of our specialists today!